Dinosaurs on a Spaceship and Invasion of the Dinosaurs (from which the above picture is taken) share little in common besides the inclusion of dinosaurs. 'Invasion...' is a more serious and, some might say, grittier story than it's spaceship-based successor - or at least as serious and gritty as a story featuring dinosaurs in the London Underground can be. 'Dinosaurs on a Spaceship' on the other hand is, by its author's own admission, a 'fun romp'. That's what Steven Moffatt asked Chris Chibnall to write and, without a doubt, that's what he wrote. I thought that I wouldn't enjoy it. I'm not overly excited by dinosaurs, the trailers I'd seen didn't really enthuse me and, I'll be honest, I didn't really enjoy Chris Chibnall's last two episodes - the Silurian 2-parter from 2010. So I went into this with some trepidation. But, you know what, I really enjoyed it. 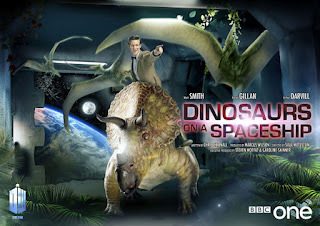 The whole thing gets off to a flying start with the Doctor picking up his 'gang' from various points in time to investigate a dinosaur infested spaceship. I have to sat that, at times certain members of the group seemed to be superfluous to requirements. 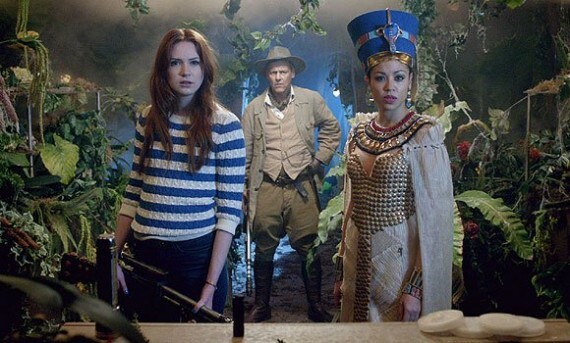 Certainly Nefertiti and Riddell the big game hunter had little to do in the first half of the episode other than to flirt and be Amy's 'companions' while the Doctor and Rory were elsewhere. Fortunately, like in all good 'gang' movies (I'm thinking 'Ocean's 11') everyone has a reason to be there and everyone gets their chance to shine. 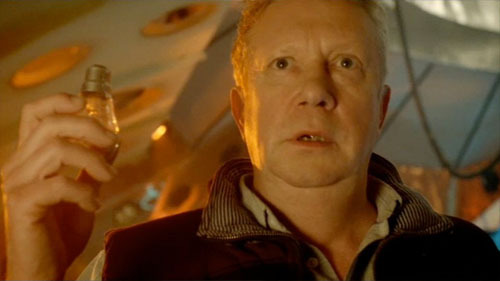 The same criticism can be said of Brian, Rory's dad. However, his character is so much fun that's it's easy to forget that he serves little purpose in being there - at least until he gets his balls out. I'm definitely looking forward to his return in 'The Power of Three' later in the series, although it's a shame that we'll (probably) not see him again once Amy and Rory leave. Of course amongst all the fun and romping and jokes about balls there is a darker story being told. Solomon the trader with a dark heart (but an appreciation for 21st Century comedy duos if his robot's voices are anything to go by) is a small-scale villain by the Doctor's standards but he also seems to be one of the most irredeemable. 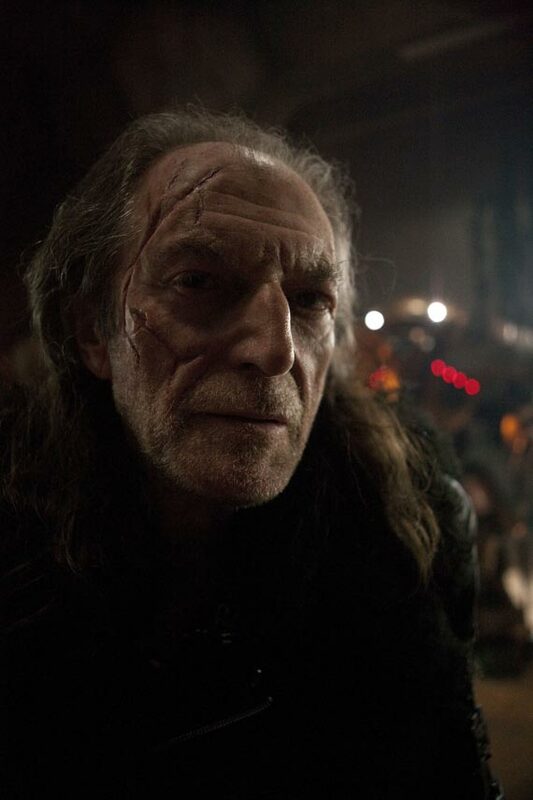 Even the Master turned out not to be such a bad guy in the end. Solomon is a mass-murderer who deals in endangered animals (amongst other things) and makes some very unsavoury threats towards Nefertiti. And he's completely unrepentant about any of it. He can't even use the excuse of being mad as he appears to be fully aware of everything that he does and even seems to enjoy it. The fact that the Doctor effectively kills Solomon by leaving him to get blown up is shocking (and something that will be addressed in the next episode) but it's sort of understandable. Earlier in the episode the Doctor gives Solomon the opportunity to leave and he chooses not to, preferring instead to attack the Doctor's gang and kidnap one of them. What alternative is there, then, when dealing with someone like Solomon who doesn't want the chance at redemption that's given to him? Controversial though it was, I think the Doctor did the only thing that he could on this occasion. All of this and I've barely the mentioned the dinosaurs. 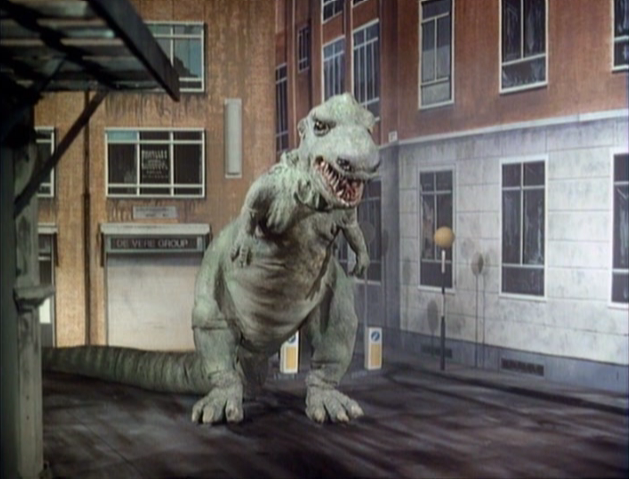 The fact is that, much like the dinos in 'Invasion of the Dinosaurs' - and indeed the Daleks in the last episode - the dinosaurs here are not really that important to the overall story. They bring the characters together on the spaceship but really the story's focus is on the humans and that's no bad thing in my book. Overall then this is was a very positive episode for me. I'm not sure that it quite got the balance right between the comedy and the more serious stuff but it came very close to it. I'm now looking forward to Chris Chibnall's next episode, 'The Power of Three' much more than I was.